The Nutribullet is the machine for making healthy green smoothies, fruit smoothies and just about any other kind of healthy drink you can imagine. When I traded in my old blender for a NutriBullet – a gift from my sons! – I couldn’t believe the difference. I like my smoothies to be smooth, and that is exactly what they are with the NutriBullet. 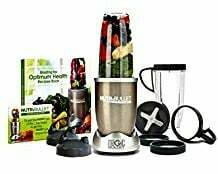 The Pro version has a super-powerful 900 watt motor, and this set comes with two large containers with lids and a hard-cover smoothie recipe book. 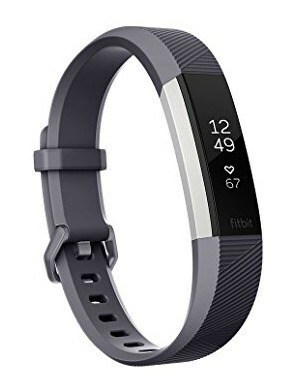 The FitBit Alta HR is the one I wear every day, and it’s perfect for the busy women in your life who want to stay fit and healthy. The Alta HR is slim, sleek and lightweight. It measures steps, distance, heart rate, calories burned and time spent being active. It also measures the length and quality of sleep, which is incredibly important for staying healthy. 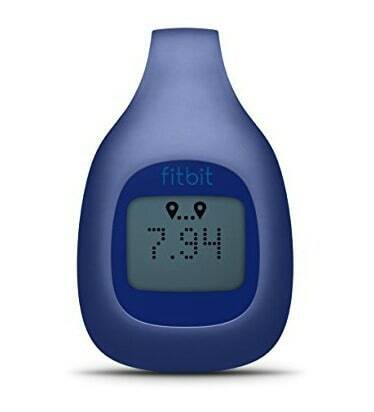 The FitBit Zip is a small, light fitness tracker that clips to a belt or waistband. It’s light and unobtrusive, and it’s a good choice for people who don’t want to wear a fitness monitor on their wrist. 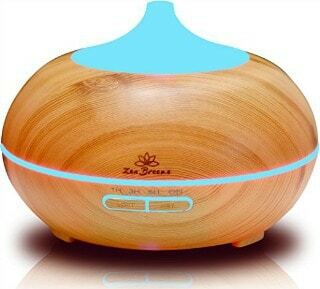 This beautiful wood-grain diffuser uses a cool mist system to fill the air with your favorite mixtures of essential oils. The health-conscious woman in your life can use it to make her house smell beautiful or to diffuse her favorite calming and healing oils. The Zen Breeze also features a 14-color night light; 1-, 3- and 6-hour modes, and adjustable mist. 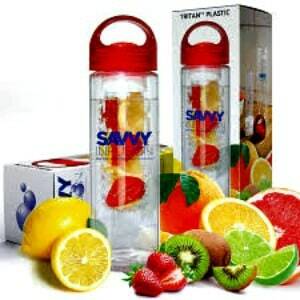 The Savvy Infusion is the top-selling fruit infusion bottle on Amazon. 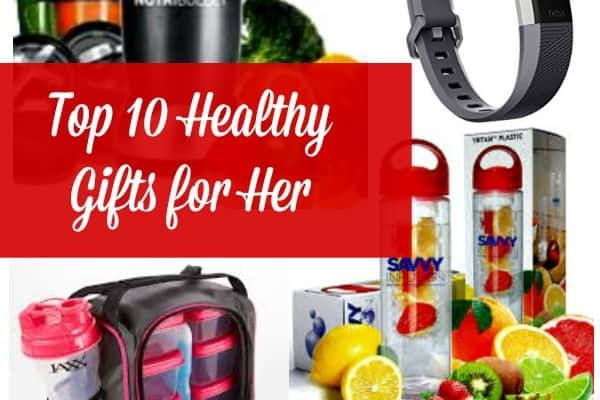 It’s an inexpensive healthy gift idea that will let your friends or family members create delicious, healthy fruit-infused waters. 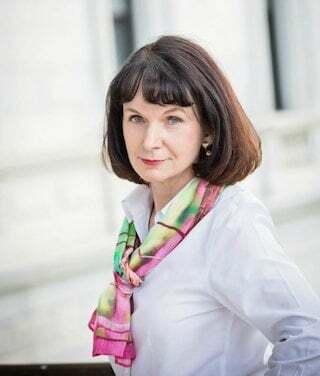 The Savvy Infusion is sleek and leak-proof and holds 24 ounces. It’s a great solution for drinking more water the easy and delicious way. 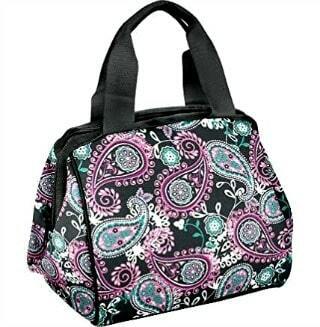 Or maybe one of the women in your life needs a simpler bag for taking food to work or school or while out running errands for the day. If so, the attractive and reasonably-priced Charlotte Lunch Bag from Fit and Fresh is the perfect choice. 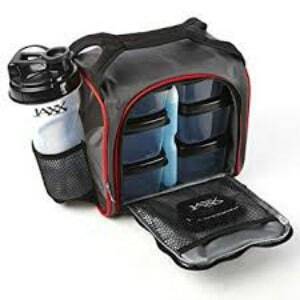 It includes lots of design and color options, slim ice pack, and zippered insulation. The healthy snacks care package is a perfect gift to send to a healthy-minded college student or young adult living on her own. 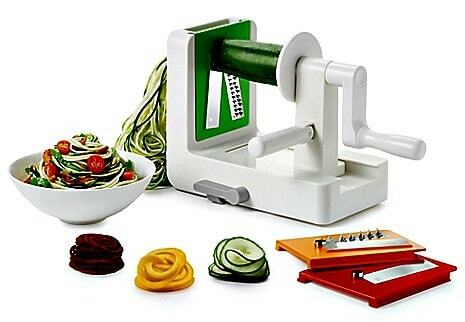 It’s also great for travelers, families, and people who like to snack but don’t like to grocery shop! 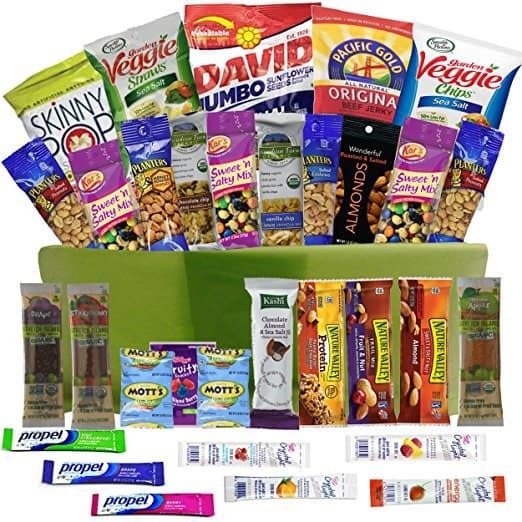 The package includes 32 healthy snacks, including nuts, granola bars, protein bars, fruit snacks and more.